Kudryk, Borys [Кудрик, Борис], b 10 June 1897 in Rohatyn, Galicia, d 28 March 1952 in a prison camp in Siberia. Composer, musicologist, and educator. His music studies, begun under Yevsevii Mandychevsky at the University of Vienna, were completed only after the First World War under A. Chybiński at Lviv University (PH D). From 1926 to 1939 he taught the history and theory of music at the Lysenko Higher Institute of Music, and the history of church music at the Greek Catholic Theological Academy (1933–9) in Lviv. In 1941–4 he wrote stage scores for the Lviv Opera Theater and songs for the Veselyi Lviv Theater. Emigrating to Vienna at the end of 1944, he was arrested there by Soviet authorities and sent to a concentration camp. 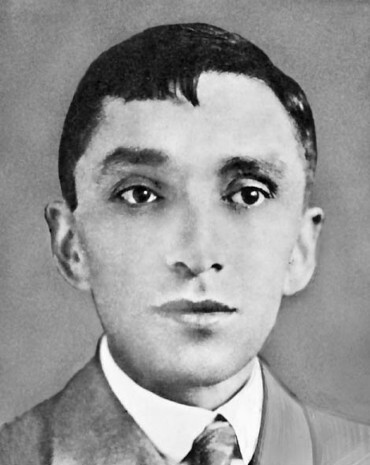 Besides reviews and articles on music, he wrote Ukraïns’ka narodnia pisnia i vsesvitnia muzyka (The Ukrainian Folk Song and World Music, 1927) and ‘Ohliad istoriï ukraïns’koï tserkovnoï muzyky’ (A Survey of Ukrainian Church Music, Pratsi Hreko-katolyts’koï bohoslovs’koï akademiï u L’vovi, 39 ). Stylistically, Kudryk’s music is close to classical Viennese music. His works include piano music (three sonatas, a rondo, and variations), violin pieces (sonatinas, three sonatas), a string quartet, a piano trio, vocal solos, choral music, the cantata Election of a Hetman, church music, and arrangements of folk songs.